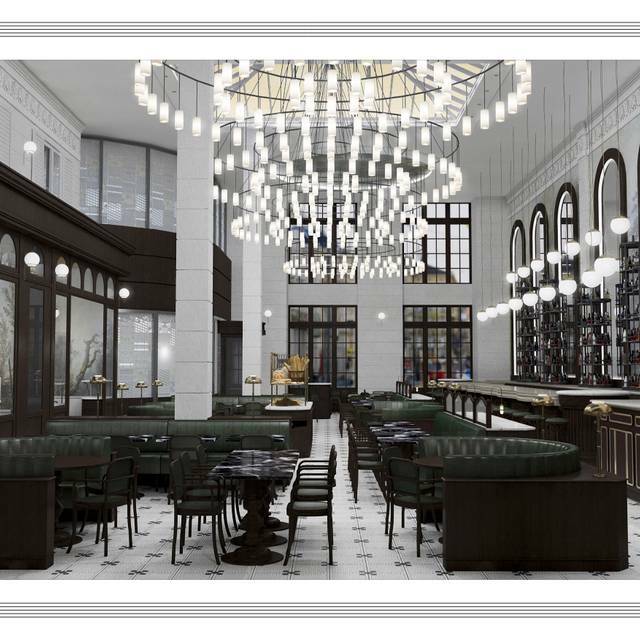 What’s more French than a passion for good food and good living? 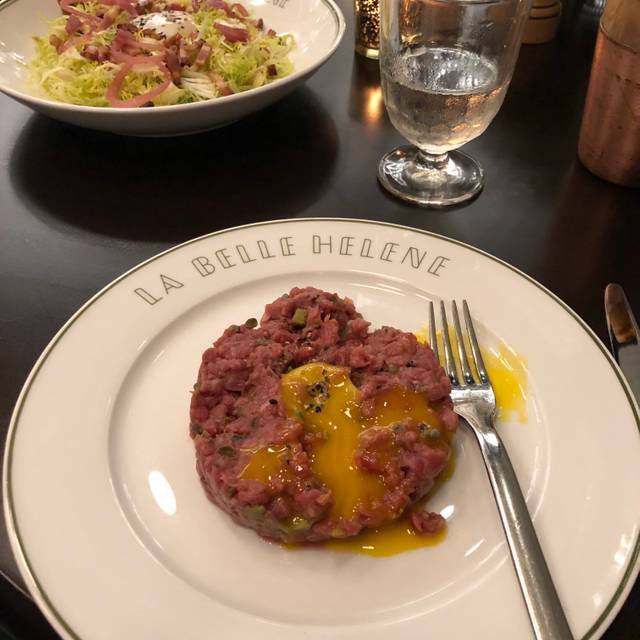 At La Belle Helene, we bring this timeless philosophy to the vibrant Charlotte restaurant scene with a lively and casual take on the classic brasserie concept. 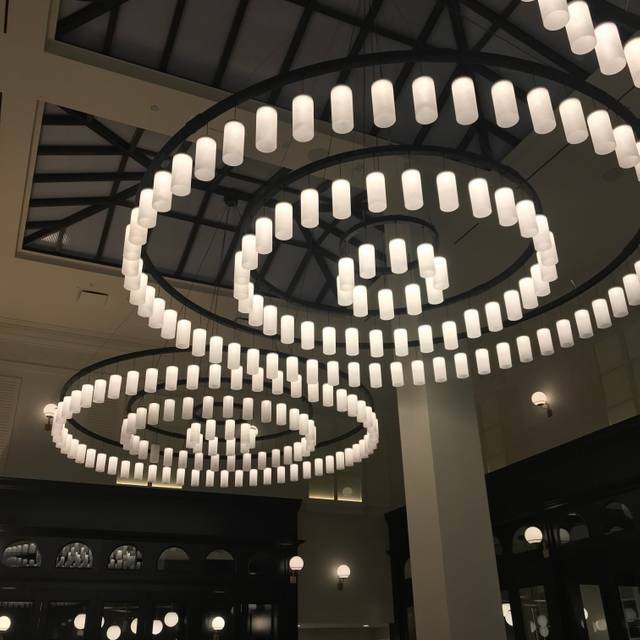 Designed by renowned Parisian designer Richard Lafond, La Belle Helene is equal parts warm and inviting. 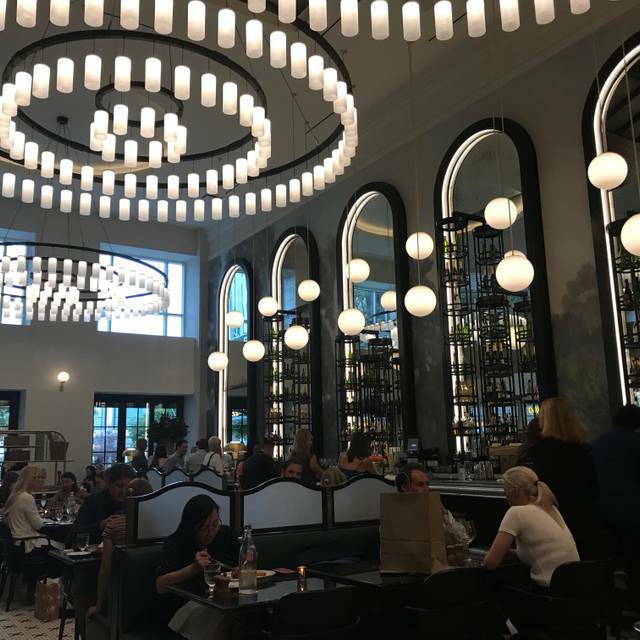 Whether you’re joining us for brunch, lunch, or dinner, you’ll want to take a seat at the pewter-topped bar that stretches on for days, grab a comfortable leather banquette, or claim an intimate outdoor table for two. Our authentic brasserie-style menu, carefully crafted and curated by Chef Michael Rouleau and the esteemed Paris-based restaurant team Ducasse Conseil, highlights delicious local ingredients and a wide selection of specialty beers, signature cocktails, and French wines by the glass — making La Belle Helene the perfect destination in Charlotte for a leisurely lunch, after-work happy hour, special occasion, or impromptu every gathering with friends. It’s a beautiful space and the food is good. Nice wine list. Hate to say there is a service problem because the servers are attentive but the kitchen is extremely slow. Took 30 minutes for 6 raw oysters and another 30 for tartare and salad. We had planned on getting steak as well but after the long wait decided to leave without entree. Although it is a nice place I think there are better places for the money. Great food, great service and of course a beautiful restaurant. Attentive service, simple but distinctive menu. Wait staff made great suggestions. Service was at a good pace, never rushed. Really enjoyed the atmosphere. Dessert is a must!! Beautiful dining room, and excellent food and service. Looking forward to coming back. 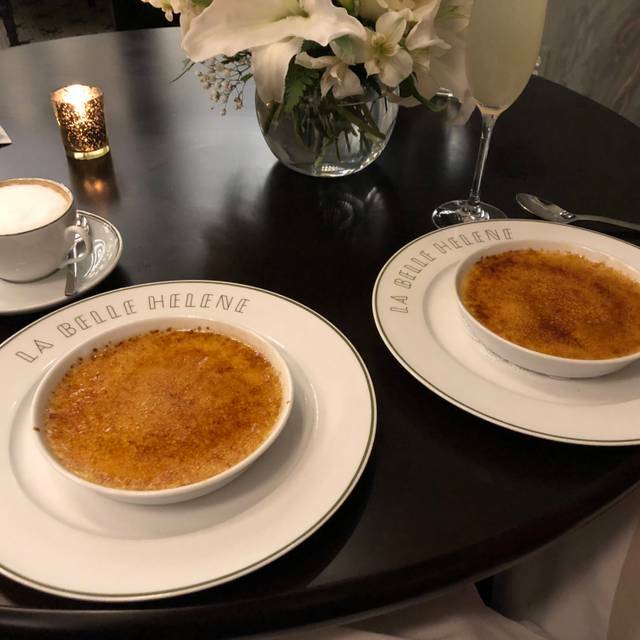 This was the best meal I have had in over ten trips to La Belle Helene. After a disappointing experience my last visit, the restaurant rebounded with a great evening. My salmon entree was perfect and the service was outstanding. I think this is the best restaurant in Charlotte. Hats off to everyone ! Loved it! We can’t wait to go back! Our brunch was a tad bit cold but delicious nonetheless. Such a special place to visit! A beautiful atmosphere, wonderful well informed staff, and amazing food! I loved it so much I can't wait to go back! We sampled a little of everything and loved every single item. 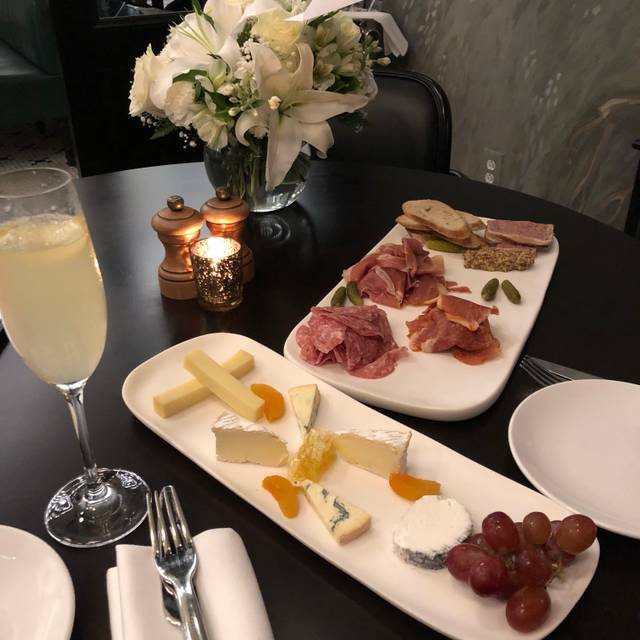 The deviled eggs, the tarte flambe, salad lyonnaise, the rotisserie chicken, the hanger steak, the Mac and cheese, the brussel sprouts, coffee and dessert, all FANTASTIC! All were suggested items from our waitress and she did not lead us in a wrong direction. Thank you La Belle Helene! Really IS the prettiest bar in Charlotte! Different and special, it’s a beautiful environment . Our wait staff was excellent and totally befit someone who was present from day one when the restaurant opened! Courteous, knowledgeable, friendly, Nick was great. Only down spots were the hostess ( didn’t seem like she wanted to work there) and a few food items were under seasoned but overall it was a good experience. The service is impeccable and the food is outstanding. Definitely worth the 1.5 hour drive from my home. Love this place. Excellent food and service at a quiet table. Overall we had an excellent meal. It was a bit over salted, but we still enjoyed the experience. The charcuterie board was outstanding! Restaurant loud, waiter over attentive, food bad and overpriced. We had a great time celebrating a friend’s birthday here! A wonderful experienced for first-timers and experienced French-food-eaters all around. Everything front to back was amazing. Steak was a little more rare than requested but still delicious. Had a full course meal and our server Casey was amazing. Told her we’d come back for brunch just for her. Would definitely recommend. The manager goes above and beyond to ensure customers have an exceptional experience, taking the time to personally greet individual tables. I came back for the “bread bowl” offered on Sunday brunch and the chef made a small sample of breads since it was a weekday. If you make reservations through open table the staff is committed enough to recognize and value repeat customers. Highly recommend! Staff and food is exceptional. Could not have been better. Our waiter, Terrell, was excellent. I haven’t been able to put this place into words since my first experience there. Incredible menu options. Consistently great service, food, and drinks. The atmosphere and decor delights and captivates my soul. Brioche French Toast was a yes for me — there is a savory and warm character to the sweetness that I can’t explain, but absolutely loved. I can’t wait to go back. We came in for brunch for my boyfriends birthday and it was amazing! He was extremely surprised because he’s not one for French food but he definitely wants to come back. Great food, great service and just great place overall. Our server Lindsey was outstanding, and we would request her anytime that we go back. We had the tuna tartare for an appetizer, which was amazing! I had the scallops and my husband had the rotisserie chicken, which were both amazing as well. But the real star of the whole dinner was the Macaroni gratin! Do yourself a favor and get it! You wont regret it! Overall, we had a great time and will definitely be returning! This has made the list as one of our best new restaurants in Charlotte! There was an initial issue with not being waited on, but when the had waiter and manager realized the error, they were both more than accommodating to myself and my family. In fact, they went far beyond what I would have asked for. The food was also excellent, (we were there for their Sunday brunch) the decor is beautiful and the staff was great. I will definitely return. Incredible meal. It feels weird to say you should get the chicken at a restaurant-but you NEED to order the chicken!!! (This is coming from someone who doesn't care for poultry.) The pace of the dinner was a little too fast but that did not put a damper on the meal. My husband and I easily split the half chicken with a couple sides, and had leftovers. Don't skip the desserts either. I'm not drinking alcohol right now and the bartenders made me an incredible mocktail to my taste. We'll be back for sure. Food was excellent as always but had to wait 15 minutes for our reservation when we arrived. The food was very slow getting to us , almost unbearable. 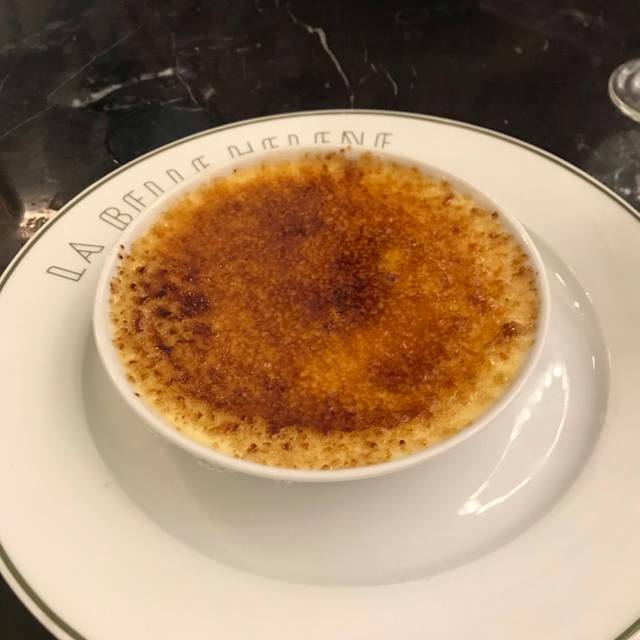 A very disappointing evening at La Belle Helene, but we will be back for sure. The service was stellar, the food was very classic, perfectly presented & delicious! Can’t wait to return! Fab as always. Perfect staff all the way around. Food unparalleled. Ambiance was great, excellent job making my martini and food was great. It was my boyfriends birthday and we had a reservation for 7:30. We didn’t get seated until 8pm and was given no update on our table until 7:50 when I asked to speak with a manager. Then, we were given two complimentary appetizers which were fine, but when we had received our meals we had more issues. The mashed potatoes and macaroni gratin were both cold, the filet was tiny and cooked well done when we ordered it medium, and I had ordered the special which was stuffed peppers yet one of the “peppers” was actually a tomato... Our server nor the manager ever returned to the table to ask how everything was and then to top it all off we were charged for the two appetizers. They took them off once I had said something, but still, that seemed to be the icing on the cake. They also never brought any type of dessert out for my boyfriends birthday, which my roommate had said she received one when she went for her birthday. Don’t get me wrong, the place was beautiful and maybe we just had a random bad experience; however, we definitely won’t be back. Seated within 15 minutes of reservation, loved Helene cocktail. Scottish salmon was excellent, husband loved the pork chops with mustard. Service was European, slower to let one pace it themselves rather feel rushed-although one could rush it if needed. Great service. Lots of business meals being served we could see. We had a wonderful brunch! It was a great experience that we are anxious to repeat! Overall a good experience but we were underwhelmed by the food given reviews and recommendations. They were out of the duck which I found odd given this is a French restaurant. 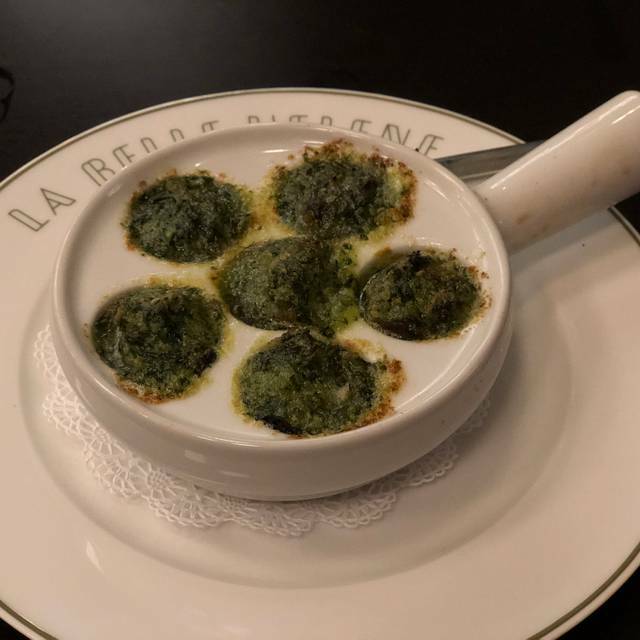 I’d say this was like visiting a popular tourist spot in Paris, good to some but to those of us who have experienced real French food, it’s just mediocre. Fantastic dinner with friends! Cute restaurant and the wine and food were really good. Fun, vibrant atmosphere! 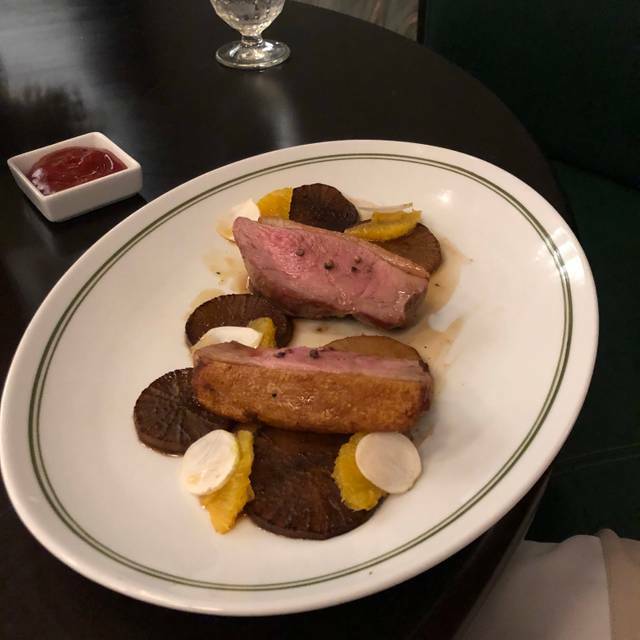 Good food—not great, but for the price it was good.